When We Falter Where Do We Turn? 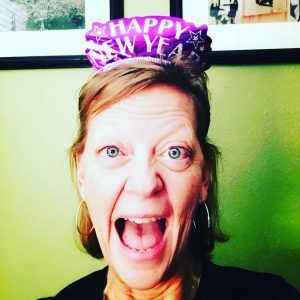 There are so many new readers here that I thought I’d share a few posts from my early days, starting with this one. When I write, I try to keep at the forefront of my thoughts that we are the same, you and I. We are the same, even if we don’t believe in the same politics or follow the same religion or even if we can’t agree about wearing white after Labor Day (is that even still a thing?). We are alike. I try like hell to keep that in mind, I try to find the threads that connect us instead of the frayed ropes that try to seperate us, as I write. To whom do we turn when we are sinking, when we are burning, when we are withering from the world’s hellish heat? To whom do we turn when we can no longer ignore a burden so fierce that it strips us, layer by layer, slowly and painfully, until we are raw and unfit for others? To whom do we turn when we have lost our will, our compass of comfort and joy, our deepest instinct to fight? I am an intensely private woman; I was an intensely private child. Yes, I know it seems a colossal contradiction because of what I do here, but I’m willing to draw back the curtain only so far before I get itchy and shaky and break out in hives from the thought of laying it all out in plain view. There are some things I keep hidden and clutched to my heart in an act of protectiveness. I do this instinctively, mostly because I don’t want to splash my grimy guts all over your clean shirt. We all have our burdens. We all have our demons. I hesitate to add to another’s by asking them to hold mine as well. The question to whom do we turn has been a constant throughout my life. I am earnest when I ask; it’s pure curiosity. I know that there must be others like me, others who want to figuratively open their veins and let their diseased anguish spill out in a warm crimson sea, but who can’t. Who won’t. It’s to those I ask the question? When my demons are brazen enough to show-up, I start with God and Husband, then the written word follows. I often lay down letter after letter, word after word, forming run-on thoughts and incomplete conclusions. The act of projectile vomiting my emotional turmoil onto the page, even if the result is a hideous self-indulgent tangent, allows me just enough fevered clarity to believe that I will reclaim the eternal knowing that all is well. Yet, the telling, the turning, is an ordeal that I profoundly resist. For those who secretly, who silently, carry pain and uncertainty, fear and sadness, confusion and misery (and don’t we all at some point), I know you. I see you. I am you. You are my tribe. Where we turn, where we find our peace, is intensely personal. Happily, most of my days are filled with a mighty and sustaining peace. When the wickedest of days return, fracturing my peace, I turn to that which is my greatest help, even if begrudgingly. 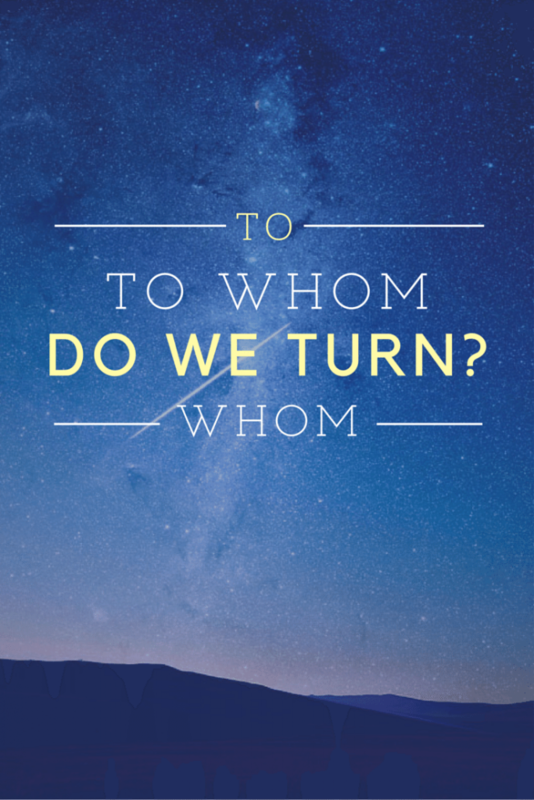 …to whom do we turn? I turn to significant others who care and to God and His word. Just sayin’.